A Peak Into My Craft Room and My Ikea Shelves! No, before you ask, this is not sponsored by ikea lol. 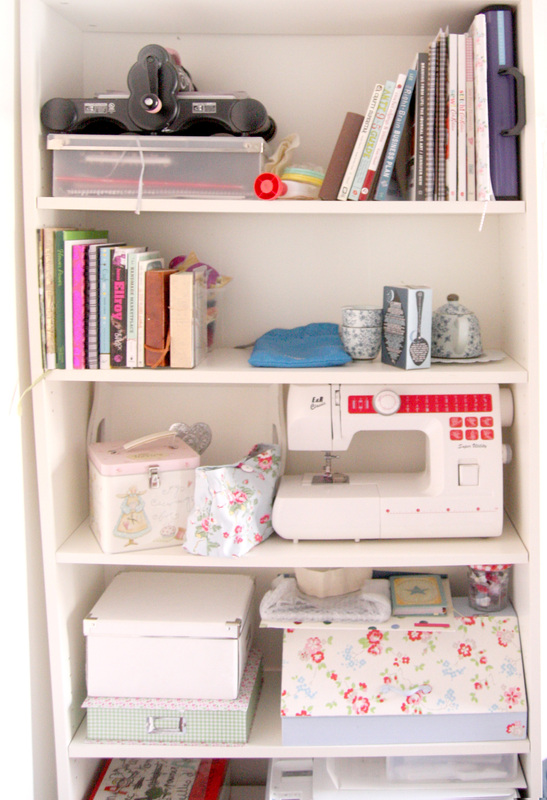 It just so happens that I am incredibly poor all the time so that is where I buy my furniture :p So this is a peak into my wee crafty shelves in the craft room or ‘The Wee Sweat Shop’ as my boyfriend calls it! These are my two brand new Spontan Magnetic boards beside my expedit. I will show you a picture now of before spontan arrived… you may be able to see the bare walls beside the expedit. The room is coming along nicely! See… On the left here as a view from the sofa Ive set up a permanent sewing table (so to speak) which I haven’t shown you but I will eventually :p to the right of the expedit I have moved that bin of papers and now the table top ironing board hangs on the nail below the green next bag. that was my bin :p above there then Ive now got a bag full of plastic bags to use as bins etc. The iron goes ontop of the wardrobe and slipped into the side… basically that bottom corner down there is my ironing on the floor space. 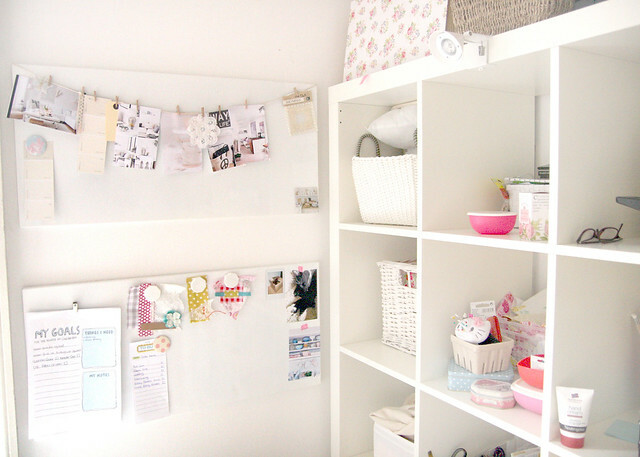 These are just above the sewing table so theres a little clip that can hold documents and printed out sewing tutorials! My to do list and to buy lists are up there too! Here, you can just about see my permanent sewing table fixtures and down to the right is the cats tent.. fashioned out of a box lid and another box. Ok now obviously the sewing machine lives on the table… Collipe as I have so named her. Those of you are into your greek mythology may get that one! Ikea is perfect for storage furniture – we have a wall of Billy shelves for arts&crafts etc. in the study. 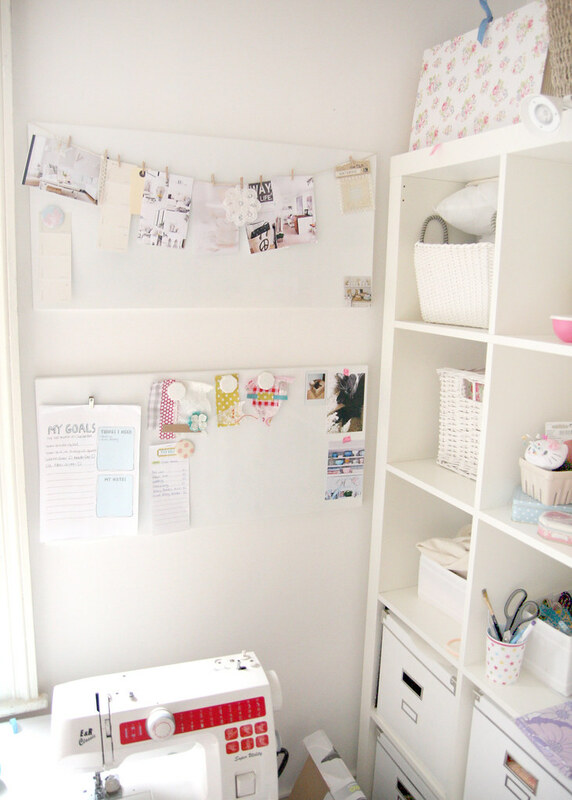 Love your little Wee Sweat shop,lol.Its so neat and tidy and small.But it doesnt look crammed into.I do love Ikea as well.The bread bin ohhh my Cath Kidston is the best.Thats the cutest.Happy weekend ahead to you Claire! It looks so neat and tidy and makes me feel even more guilty about keep shutting the door on my pile. Well now I'm jealous! I have a sort of craft room but unfortunately it's also my two kittens bedroom and the ominous 'room where everything that doesn't fit elsewhere gets put' Means it looks a bit like a tip really and I barely fit in! thank you! Yeah me too lol. My house is almost entirely ikea! lol dont. Right now my room is a total mess because im in the middle of a few projects. There are scraps all over the floor, invoices.. cant get in the door for wadding blocking it and the ironing board has just actually taken up the full size of empty space I had as I need a big table type thing for pinning bias binding! phoo! omg what a gorgeous space! i love alot of ikea products too and it's always a great thing to save money! I like how clean/crisp it looks with all the white. If we had an ikea closer than 5 hours away I would be broke! I just love Ikea. Your craft room is to die for! You craft room is gorgeous Claire, so bright and pretty. i love it! you can never go wrong with ikea shelves. 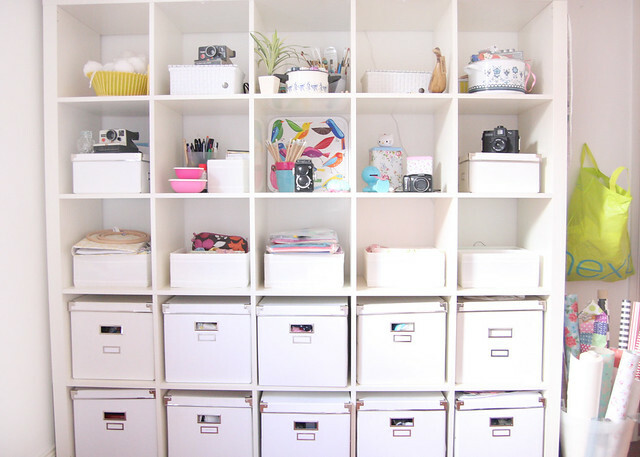 and i have the same white storage boxes. somehow they make piles of old magazines and papers look awesome! thats what i was aiming for! Im the same ^_^ Thank you for sharing! welcome to hearthandmade uk! this blog is full of craft projects, diy tutorials, crochet tutorials and patterns, inspiring interior design posts, party planning posts, freebies, printables and most importantly joining in with me on my creative journey! i have gained so many new followers recently and i love you all! i am so appreciative and inspired by all of you guys and if i havent popped round to say hello just send me your blog link, i always love to go visit. if you love to create and inspire please feel free to add any items to the hearthandmade flickr group! i mean any! i love to see homes, creative studios, handmade goodies and even pots of jam! so show me! !